1. Chicks in the rink! Canada continues to be awesome at winter sports. 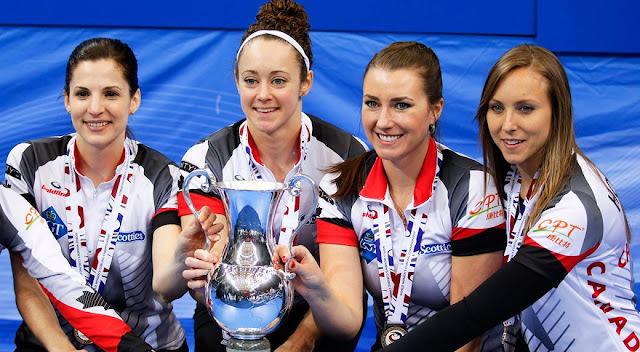 Wins World Curling Championship without losing a game. 2. Dylan Larkin (a whooping -28 this season) with a must see tip. 3. ...But the Red Wings pulled out a tight nothingness win on NBC. 4. We got robbed on CHEL. 5. The Gators lost in the Elite 8. There were tears. 6. Kentucky and North Carolina was a lil nuts.